Even the hellfires of war can’t stop nature’s impossible beauty. Even the hellfires of war can’t stop nature’s impossible beauty. 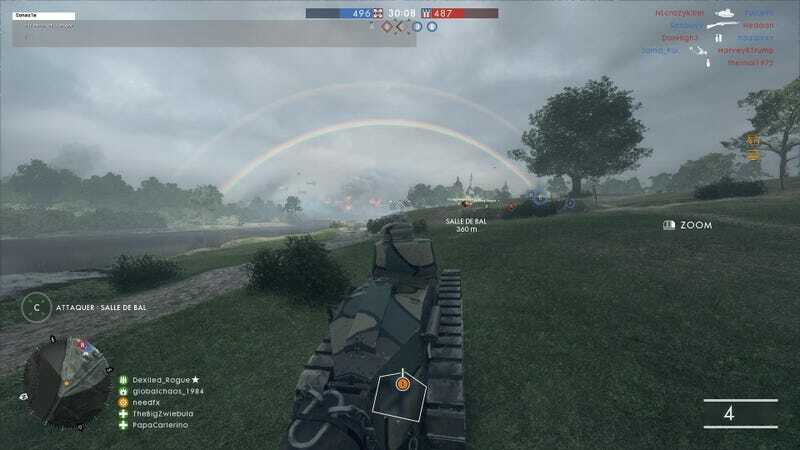 Reddit user needfx encountered his awe inspiring double rainbow while playing on Battlefield 1's Ballroom Blitz multiplayer map.